If you are suffering from Eczema or know someone who has the condition, you’re aware that this condition will cause redness and itching. Eczema can be very hard to treat. 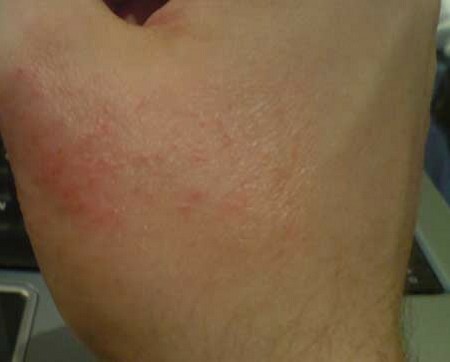 Many times Eczema is caused by stress and allergies, but sometimes it can just pop up on your skin from nowhere. To treat this problem, here are some things you can do to cure Eczema. But before doing so, please consult with a doctor to ensure your skin will not suffer any negative reactions. The first step is to see a doctor. After examining your condition, she will probably come up with a reason why you acquired Eczema. Then she will probably send you to an allergist who can further analyze your condition. After that your doctor may prescribe you something. Be sure you follow the prescriptions before even trying any of these home remedies. Calendula Oil. This oil can soften scaly skin. Some may feel a stinging sensation, while others might feel nothing at all; this will all be dependent on how your body reacts. To be safe, it is suggested that only adults use this treatment. Oatmeal. This can help hydrate your skin and soothe the itchiness. You can mix oatmeal with your warm bath and soak in it for as long as you need. Bag Balm. After taking a bath (or even if you haven’t yet), rub bag balm on the effected skin area. This product was made originally for cows, but it promises an effective cure for your Eczema. This will leave your skin hydrated and decrease its flakiness. This product can be bought anywhere at a very cheap price. Turmeric. This spice is used primarily as an ingredient for cooking, but the powder is very effective as an anti-inflammatory agent. You can take it as a pill and consume it every day. The amount you take will depend, however, on the severity of the Eczema and what your body can withstand. It is always best to consult your doctor first. Baby Oil. This product can go a long way. While in the shower you can apply it to your skin. After you are done you can rinse it off. This will help nourish the skin, allowing the Eczema to easily dry off. Hydrate your body. Drink a lot of water. Hydration is very important because it makes your skin healthy and less flaky and dry. Vaseline lotion. This can be greasy, but it will definitely help alleviate the itchiness and dryness of your skin. After a few days of consistent application, it will be easier to remove the unwanted dry skin. This will also help in nourishing your skin, making it smoother.